JOYS offer a variety of products for events including sound & visual equipment, as well as furniture hire and the new 14m Dome for your event. Take full advantage of the Joys teams knowledge and experience and ask them advice on the best products to fit your event. If it's just the finishing touches you need adding to your event then we can help by hiring out our selection of furniture, including internally lit poseur tables, LED furniture, small coffee tables, and inflatable sofas. The new 14m Dome could be perfect for your next drinks party or corporate event. 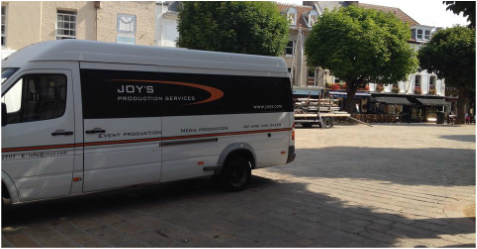 Joys offer a delivery service, or you can collect from our main office in St Peter Port and we will be happy to assist in every way. Call 01481 727117 to speak to our friendly experts.